Sometimes it can be difficult to find dry tinder to light your fire. This is where feather sticks come in. 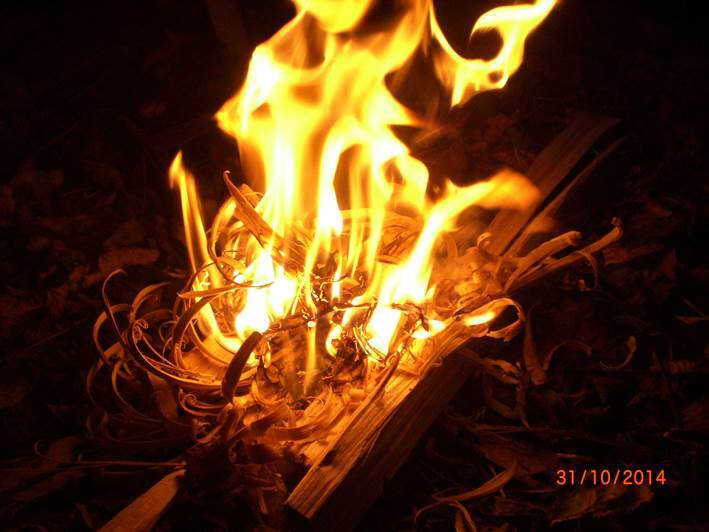 A feather stick is a piece of dry wood shaved down to make fine curls which will light with a fire steel. 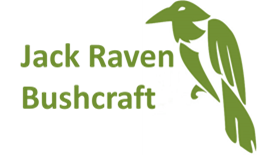 There are a few variations on how to make a feather stick and which you use will depend on the situation and your own preferences. Whichever method you use to make your feather stick, the start is the same. Find some standing dead wood; even when it’s been raining heavily, the centre of standing dead wood is likely to be dry. 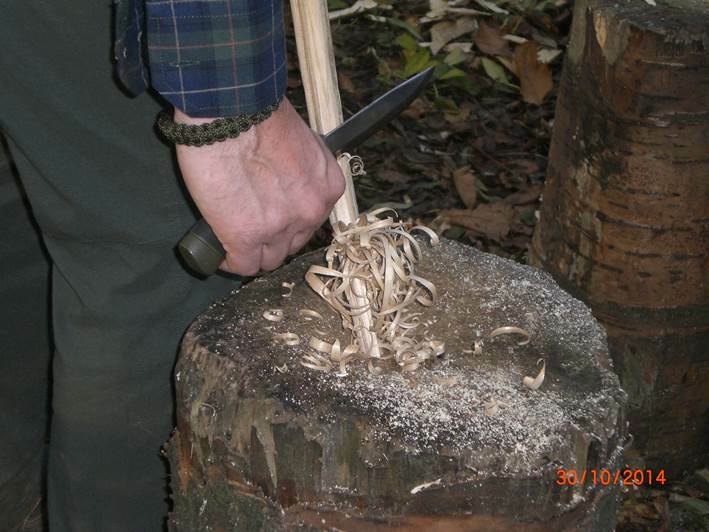 I often use a knife to cleft the wood and so only gather standing dead wood narrower than the length of my knife blade. 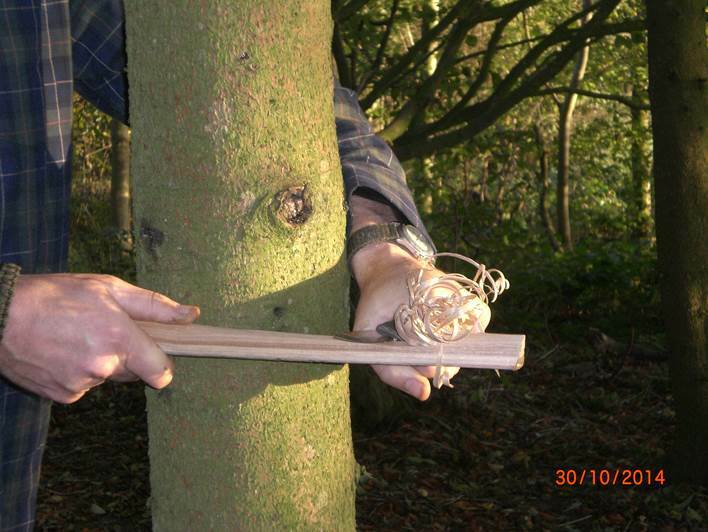 Try to avoid anything with lots of side branches as the knots they create make it tricky to get a decent feather stick. I cut the piece of wood in the photo below in between knots. 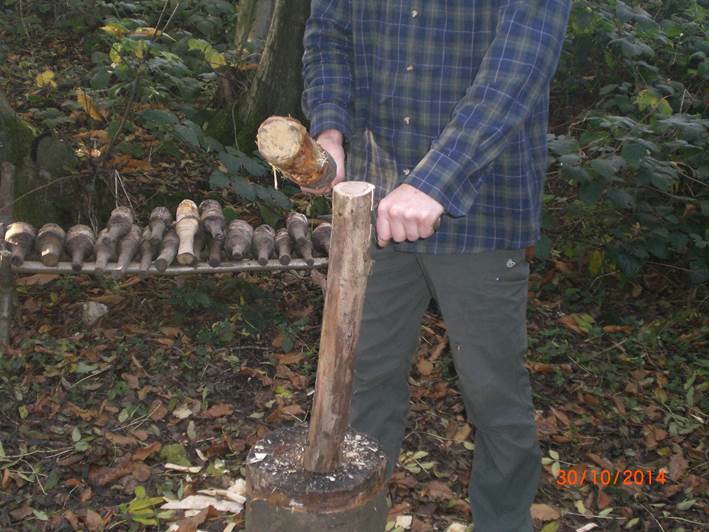 Then you’ll need to cleft the stick into 8 triangle shaped sections by battening down through the wood. Try to get each cut running straight down the centre of the wood, so that you end up with a well defined edge on each of the 8 pieces of wood produced. Then take off a thin sliver of wood along the edge which would have been in the centre. I then shave a curl off the left side, then the centre and then the right side, and then back to the left. Feather sticks require good knife control; hold the knife so that it’s bevel is almost flush with the wood, but just cutting. I use the part of the blade closest to the handle. If you feel the knife digging in, adjust the angle slightly. When you first try feather sticks it’s easy to cut the curls off, but don’t worry, keep them and add them back later. 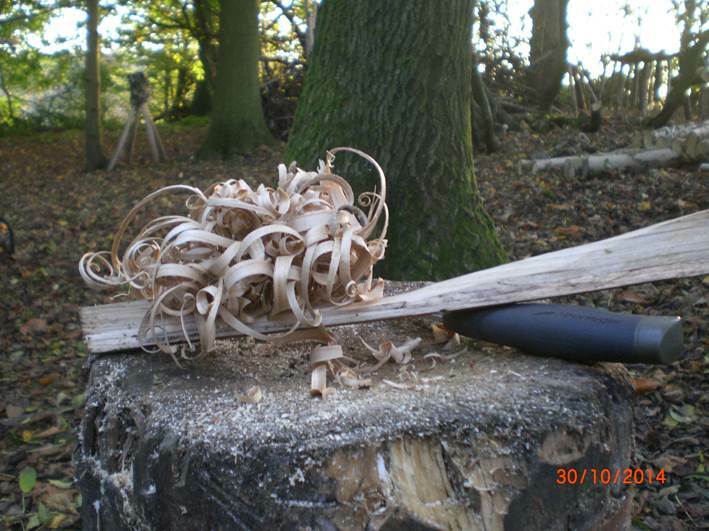 Try to get each curl to finish in more or less the same place; you’ll notice that the thickness of the piece of wood gets thinner towards the curls, so effectively you’ve got your tinder (the curls) and kindling all in one. Make a feather stick with each of the 8 cleft sections. You can then stack the 8 pieces so the curls are bunched together and the rest of the wood is angled upwards. 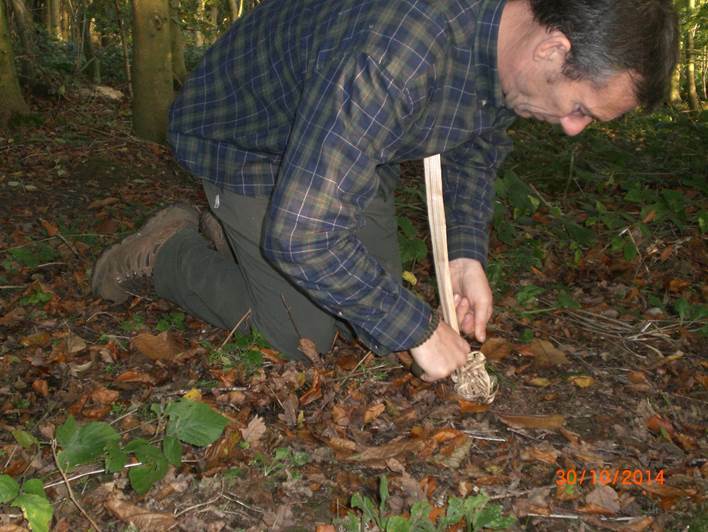 For making a feather stick onto a stump, I’d typically opt for wood about 30 – 40 cm long. Stand with your dominant leg to the stump (I’m right handed, so I have my right leg against the stump). 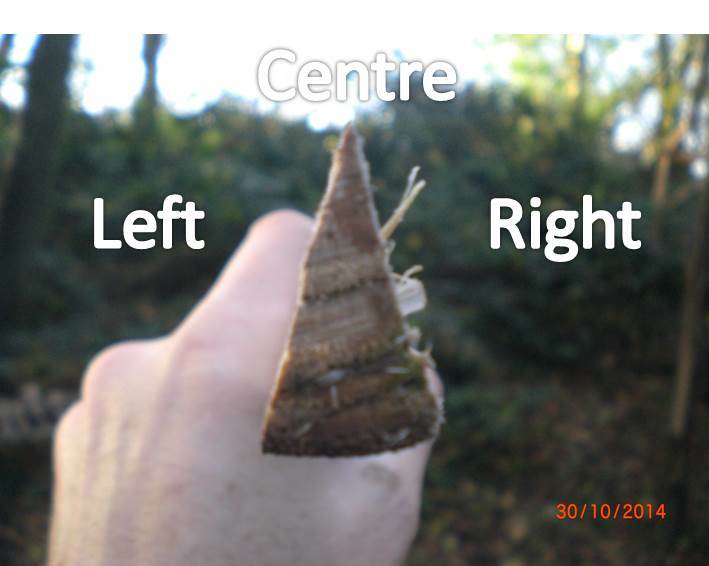 Hold the cleft wood in your left hand and bring it across your body and onto the stump. If you find that you’re cutting off the curls, try keeping your arm almost straight and lowering yourself by bending your knees to make the cut. Here I use pieces of wood about 60 or so cm long. 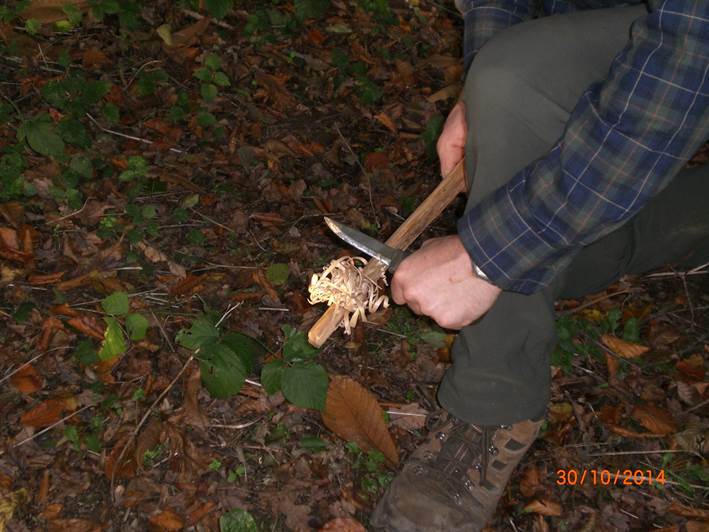 Kneel with both knees on the ground and place one end of the piece of wood into your breast bone and the other onto the ground; make sure the wood is well in front of your legs This method gives good control as you can use both hands on the knife, generally reducing the mount of force used. For this method, I generally use a pice of wood about 30cm long. Kneel with your dominant knee on the ground (so my right knee). Hold the knife in your left hand with your wrist locked against your left shin. Now you can hold the piece of wood in your right hand and draw it towards you. I’m not that keen on this method, but I know plenty of people who get on with it well. You can do the something similar with a tree instead of your leg, which means you can stand up to make your feather stick. You can also use an axe to make feather sticks. I prefer to rest the cleft wood onto a stump. 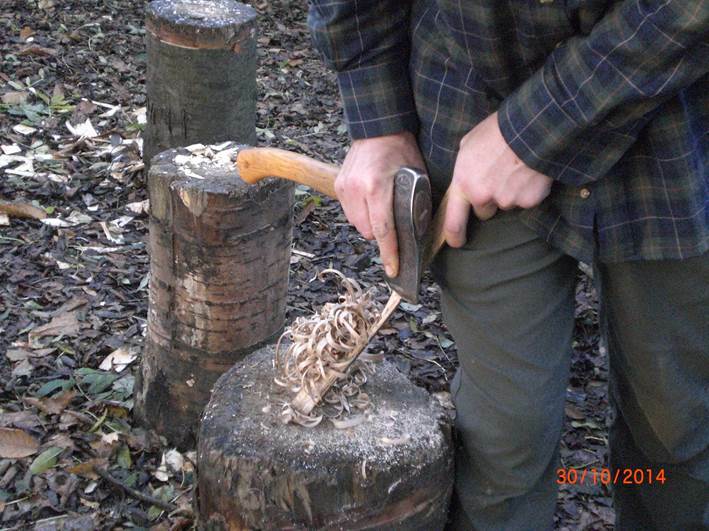 This is good fun and a skill we practice on our Axe Workshop.